Known as the “Miracle Barrel Racer,” Kalyn Brooks overcame all the barriers posed by her physical limitations, living an accomplished life in and outside of the rodeo arena. She was born with numerous birth defects: abnormalities of the hands and legs, profound deafness and growth hormone deficiency. However, Kalyn’s drive to win kept her going. 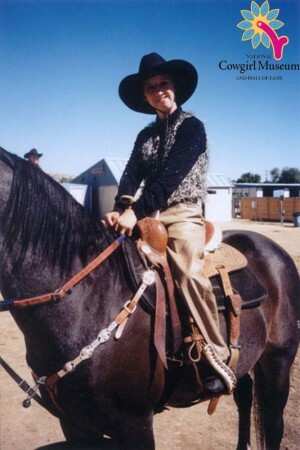 During her short life, she worked intensely on her barrel racing techniques, became Miss NPRA (Northwest Pro Rodeo Association) in 1997 and continuously traveled the rodeo circuit up and down the West Coast. This feisty and ferocious competitor made her last run in 2001 and passed away shortly afterwards, leaving behind a lasting memory of tenacious spirit.